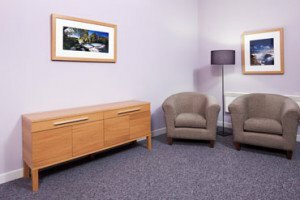 A caring funeral home that serves bereaved families in Boswall, North Edinburgh. The funeral directors at Boswall made planning my dads funeral very easy and helped me in every step from planning to the day. I would highly recommend them to all my family and friends. They are compassionate and caring and respectful. Couldn’t have been nicer or more sympathetic. This funeral home in Boswell is proud to be a part of Scotland’s largest independent co-operative, with a rich history spanning over 150 years. 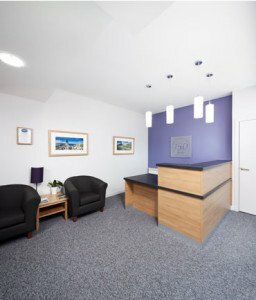 Scotmid is proud to be at the heart of the local communities it serves, its Boswall office is located in the north of Edinburgh. Close to the junction of Crewe Road North and Boswall Parkway, next door to the Crewe Medical Practice and our Food Store. There is plenty of off street parking available. It’s been carrying out funerals since 1927 with premises across Edinburgh – and beyond. They can be contacted whenever they are needed day or night. Call now for funeral care and support. We dealt with Darren Gunn for Derek’s funeral he really made the whole process so easy from start to finish. Scotmid were absolutely excellent from start to finish of my mother's funeral. Everything was explained to us and on the day the staff were more than helpful and professional. I can thoroughly recommend Scotmid funerals. We are very pleased by the service we received. Every detail we requested was well attended to and communication was good throughout. The service provided was excellent on all levels. The Staff, cars, coffin, flowers, service, cloisters chapel, on the day were excellent. The prior arrangements in purchasing the funeral at your office was very easy and straightforward with very helpful staff. The choices available allowed us to choose a package that was perfectly suited to us and provided good value. The Funeral was conducted very professionally, dignified, warm and friendly. The Celebration service was excellent, time was spent getting to know about Norman so everyone left with smiles after recalling his good times and achievements. We would definitely recommend Scot-Mid Funeral services and Liz *** who conducted the Celebration service. From start to finish, the service provided by Co-operative Funerals was first class, nothing was too much trouble leading up to the funeral and on the day Philip Bryan and his colleagues were excellent, putting everyone at ease and conducting their duties with consumate professionalism. Would not hesitiate to recommend their services or use them again for any other friend or family member that required them. They turned what could have been a time of sorrow and confusion into a sea of calm and efficiency, could not have asked for more. Scotmid Funerals, Boswall will provide you with a free obituary as part of their service.